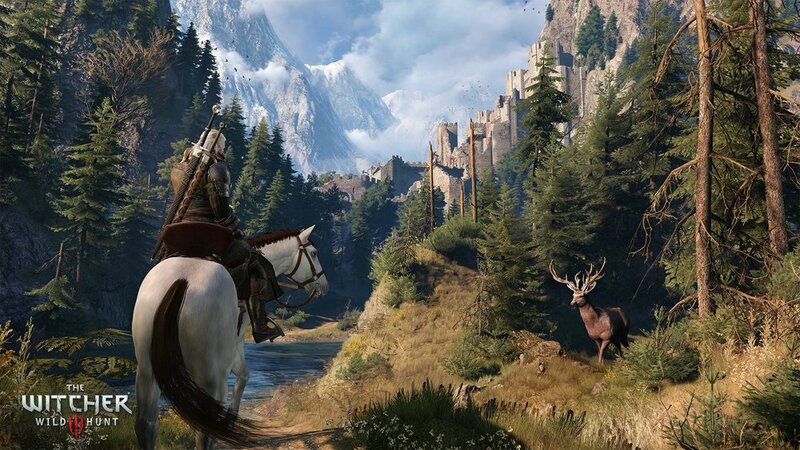 The Witcher 3 is one of the must-play fantasy games of the current generation of gaming. It’s also one of the most beloved games of all time. It set a new bar in terms of quality RPGs, and brought with it an immersive open-world experience we hadn’t really seen since Skyrim. In this age of brand power and franchise fame, it’s no surprise that it was swiftly licensed for a TV adaptation. The Witcher Netflix series was announced in 2017 and has been slowly making its way towards our screens ever since. Details have been thin on the ground, and we still don’t know a whole lot about the show, but that doesn’t mean we’re a bunch of Jon Snow’s here. We have been teased with a few bits and pieces relating to this upcoming epic saga. So what Witcher Netflix series news have we got confirmed as of January 2019? They say star power doesn’t exist anymore, but I guarantee you that bringing on Superman has turned more than a few heads. Henry Cavill is a massive catch for the series, for one reason: he’ll attract intrigue. Not everyone has played The Witcher 3. Not everyone will know about the series or even be interested in it, although there will be plenty that are. By bringing Cavill onboard, Netflix have basically accessed two markets. While there may be some overlap, there will also certainly be enough separation in this Cavill-Witcher Venn diagram to allow the streaming service to capitalise on as big an audience as possible. As you may have noticed, we get the message ‘coming 2019’ at the end of the video. That’s a date, at least. It’s not a helpful date, but it does tell us we’ll be seeing it before the year 2020; and that is something. Any bets should definitely be placed on the latter months of 2019. It isn’t a whole lot to go on in terms of plot, but it does tell us that it will continue with a lot of the themes that have produced some of the best fantasy books and games ever released; primarily monster hunting, magic and violence. Fans of the games will be excited to hear this, as will fans of grimdark fantasy and those looking to fill the gaping wound left by Game of Thrones. You know, until all those spin-offs are released. It’s always a bit a nightmare when you are looking forward to a new TV show or movie and you hear about all the drama and difficulties going on. Han Solo, Suicide Squad and Fantastic Four are just a few famous examples, but the list could really go on for days. Happily for those getting hyped for Netflix’s The Witcher series, all the stars seemed to have aligned. A source close to the production has stated that the streaming service higher-ups are apparently very happy with the way things are progressing, and are even considering investing in multiple seasons already. Famed for its beautiful beaches, luscious greenery and epic mountainous landscapes, the volcanic island of La Palma seems like the perfect place to shoot a massive fantasy series like Netflix’s The Witcher. Stories circulating that this will indeed be a major filming location for the show then, make a lot of sense. What this news tells us is that there will be some truly dramatic scale to the show, perhaps trying to call to mind the epic nature of other popular fantasy media like Lord of the Rings. Again, actual details are scant, and we don’t know how much emphasis will be on La Palma in terms of overall plot development. Whatever is filmed here though, it will definitely fall in line with what we expect from a fantasy series like Netflix’s The Witcher. All this The Witcher Netflix series news got you excited for some truly epic new fantasy? Can’t wait ‘til its release at the end of the year? Why not experience a different world entirely, with the fantasy eBook available here on The Azrian Portal. Don’t fancy downloading an eBook? You can read short stories online right here instead.